Comm Eye Health Vol. 30 No. 100 2018 pp 78-79. Published online 07 February 2018. Senior Lecturer: Department of Ophthalmology, Muhimbili University of Health and Allied Sciences, Dar es Salaam, Tanzania. Clinical Research Fellow: International Centre for Eye Health, London School of Hygiene & Tropical Medicine, London, UK. Co-director: International Centre for Eye Health, London School of Hygiene & Tropical Medicine, London, UK. Few children have access to specialised eye care in Tanzania. However, ten simple activities have been shown to reduce the risk of childhood blindness and eye disease dramatically. By teaching these to primary health workers in Tanzania, thousands of babies now have a better chance of having healthy eyes. In Tanzania, late presentation occurs despite the fact that most young children (up to 5 years of age) have frequent contact with trained health personnel in RCH clinics for growth monitoring, immunisation, treatment of different diseases and health education. These appointments were a missed opportunity to identify children with eye problems. This prompted us to conduct a pilot study in 2010 in RCH clinics in urban Dar es Salaam. We were interested to find out if there were any changes in workers’ knowledge, attitudes and practices before, and 12 months after, a one-day training session on the ten key activities for healthy eyes. Following the study in Dar es Salaam, we worked with a steering committee to conduct further mixed methods research in RCH clinics and communities in the Singida region. Singida region is mainly rural and so more typical of Tanzania, compared to Dar es Salaam. The study, conducted in 2014, included facility surveys, observational checklists, interviews with staff, the assessment of case management of eye conditions using images, and interviews with key informants. 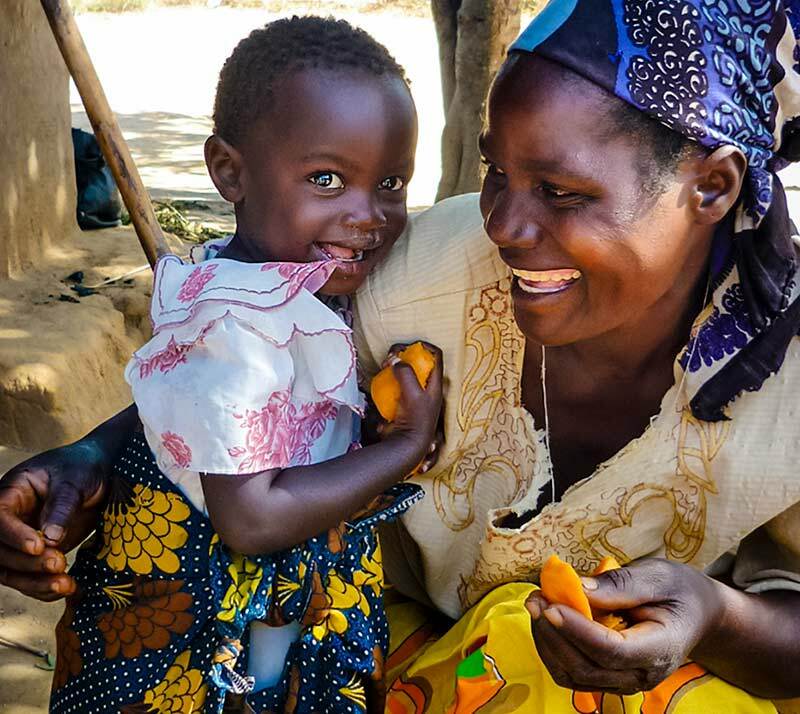 A sample of mothers of children aged up to 24 months were also interviewed to assess their knowledge, awareness and health-seeking behaviour and to assess coverage of measles immunisation and vitamin A supplementation. The results were similar to those of the pilot study: most RCH workers had little knowledge of eye conditions, management of eye conditions was poor and ocular prophylaxis had been stopped or was inadequately implemented. Measles vaccines and vitamin A supplements were sometimes out of stock and health education sessions very rarely included eye conditions. Mothers did not know that measles immunisation and vitamin A can prevent blindness, and only a quarter of children aged 9–24 months had documented evidence of having received a vitamin A supplement on their ‘Road to Health’ charts. Measles immunisation coverage was good (84.7%). Integrating promotion of key family practices critical for child health and nutrition. 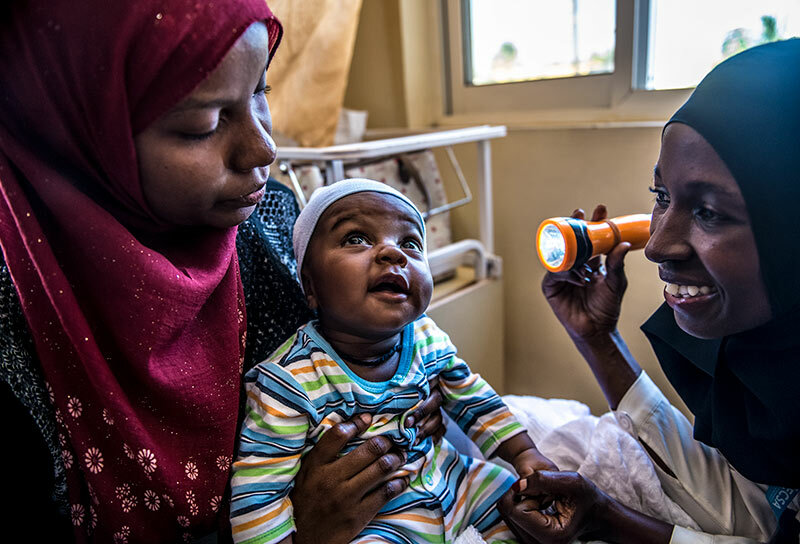 IMCI has been adopted and implemented with varying degrees of success in low- and middle-income countries, including Tanzania.10 Although it was developed as a comprehensive approach, the focus has been on treatment within health facilities. Tanzania is among the countries that have embraced IMCI and the programme is being implemented through the RCH services. In Tanzania, IMCI training is delivered in two ways: pre-service training and in-service training involving ten modules covering different conditions. Notably, IMCI has a section on ear health but there is no section dedicated to eye health. In April 2017, findings from both studies were presented to the steering committee in Tanzania, which included ministry of health officials responsible for IMCI. The committee agreed that an eye module should be added to the national IMCI in-service training package. The eye module has since been developed in collaboration with the ministry of health. A poster has been designed and DVD clips are being prepared on topics such as how to examine the eyes of a young child. All these materials will be tested and then they will be ready for use in the national IMCI programme. As training is being rolled out, we plan to undertake an evaluation to assess the effectiveness of this training on how RCH staff manage eye conditions in children and to assess whether it has improved other aspects of control, such as vitamin A supplementation coverage. Inclusion of the eye module in IMCI in Tanzania is a significant step forward and has the potential to substantially reduce blindness in children. Findings from the planned evaluation will be used in advocacy so that other countries in Africa may include eye conditions in their IMCI training package. Acknowledgements The studies were supported by grants from Task Force Sight and Life, Sightsavers, the British Council for the Prevention of Blindness and CBM. 1. Gilbert C and Rahi J. Chapter 14. Visual impairment and blindness in children. Section 14a. Magnitude and Causes. In: Epidemiology of Eye Disease, Johnson DMG, Weale R, West S (Editor) 2012, Imperial College Press/World Scientific: London and Singapore. 2. Mafwiri MM, Kisenge R, Gilbert CE: A pilot study to evaluate incorporating eye care for children into reproductive and child health services in Dar-es-Salaam, Tanzania: a historical comparison study. BMC Nurs 2014;13:15. 3. Mwende J, et al. Delay in presentation to hospital for surgery for congenital and developmental cataract in Tanzania. Br J Ophthalmol 2005. 89(11):1478-82). 4. Bronsard A, Geneau R, Shirima S, Courtright P, Mwende J. Why are children brought late for cataract surgery? Qualitative findings from Tanzania. Ophthalmic Epidemiol 2008;15(6):383-8. 5. You C, Wu X, Zhang Y, Dai Y, Huang Y and Xie L. Visual impairment and delay in presentation for surgery in Chinese pediatric patients with cataract. Ophthalmol 2011;118(1):17-23. 6. Zhang H, Xie L, Wu X, Tian J. Long-term results of pediatric cataract surgery after delayed diagnosis. J AAPOS, 2012. 16(1): p. 65-9. 7. World Health Organization. Report of a WHO consultation group. A five-year project for the prevention of childhood blindness. 2002: Geneva. 9. Imdad A, Mayo-Wilson E, Herzer K and Bhutta ZA. Vitamin A supplementation for preventing morbidity and mortality in children from six months to five years of age. Cochrane Database Syst Rev. 2017;3:CD008524. 10. Masanja H, Schellenberg JA, de Savigny D, Mshinda H, Victoria CG. Impact of Integrated Management of Childhood Illness on inequalities in child health in rural Tanzania. Health Policy Plan 2005;20:i77-i84.